Our corn tortillas start with premium whole kernel corn, cooked and steeped slowly over half a day, then stone ground for maximum full-bodied, true corn flavor and authentic texture. Corn Tortillas - 1 doz. 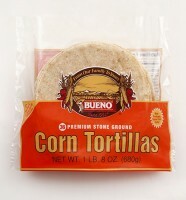 We have remained true to tradition, still making corn tortillas in the traditional manner of our ancestors. Tens of thousands of years ago, our ancestors used a flat stone called a metate to grind corn. Today, we carry on this tradition by incorporating ancient lava rocks from Mexico into our machinery to grind the corn and by employing a Master Craftsman to maintain the grinding stones by sculpting and etching them by hand. 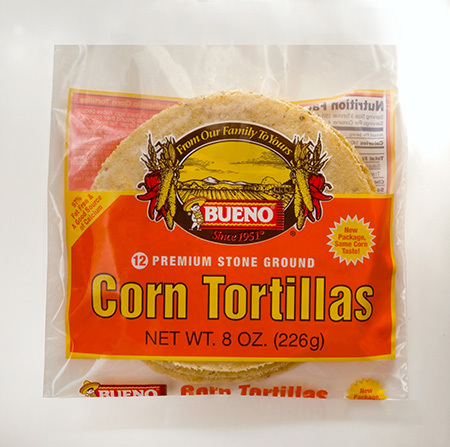 Even though we are one of the few manufacturers who still grind corn in this traditional manner, we hold onto the tradition because the result is a superior corn tortilla with full-bodied, true corn flavor and authentic texture. Corn Tortillas - 3 doz. Made with stone-ground corn for full-bodied, true corn flavor and authentic texture (not refined).